This post is in a way, a follow-up of a previous blog post about God. 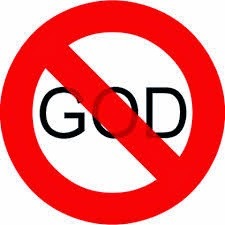 A recent article I read about God by an atheist prompted me to write about my views about Him. I think trying to perceive God with human attributes is where the problem lies. Both believers and atheists are guilty of this. Atheists always have questioned His existence because scientifically we are not able to prove it. However, there are many things that we are still not able to prove scientifically. Even in science, there are theories and assumptions made. Many scientific theories and assumptions haven’t stood the test of time. Something that was considered a perfect theory is now being questioned. Science does not have answers to so many questions which have existed since time immemorial. I am not being superstitious. I am only saying that science still has limitations. This does not mean that I am denouncing scientific temper. I strongly believe that you should always try to think rationally before you do any task. Majority of the decisions I have taken in life were done after weighing all the pros and cons. I have relied on logic after thoroughly examining the information available in front of me to take my decisions. I do not see anything wrong with someone being an atheist. It is fine to not believe in God until you have a real life experience. Also, it is better to be an atheist and work for the welfare of society than being a religious person and be the reason for pain and gloom for your fellow beings. Why can't we be eternal? Why is it that we humans come into existence and die after a certain period? Also, when I look around in nature, the most minute of creations, I see so much perfection. I look at the wide variety of plants & animals, all the natural beauty in this world and infer that this cannot be an accident. Science does have theories for evolution. It may be true as well. However, for something to evolve out of nothing there should be some trigger. I just cannot imagine that all the beauty in this world is not a result of some conscious effort. There must be some deliberate force behind it. By what name you call it can be debated upon. Every religion in this world may have multiple points to disagree with. Yet, all religions are on the same page in proclaiming that death is inevitable. There is no scientific evidence as well of any person who has been successful in evading death. If you take birth you will die. After death what happens is again something where different religions have different viewpoints. Science despite being around for so long hasn’t been able to make a human being eternal. One may argue about life support systems that keep a person alive but is that being alive? My belief in God is strictly and strictly based on the fact that we humans are not immortal. Even though we are one of the most powerful animals on the planet Earth, we still haven’t been able to escape death. To conclude this post, for me to become an atheist, science will have to prove that it can conquer death. Until that day, I will believe in God. God for me is that supreme consciousness that has set the ball of life in motion.